Goscote | The Bloxwich Telegraph – incorporating The Bloxidge Tallygraph and Walsall North News. Founded 2006. Spooky time at Goscote Greenacres this Halloween! Visitors to Goscote Greenacres Community Garden are in for a treat on Sunday 1st November when the centre celebrates Halloween. This free fancy dress family ghoulish inspired event takes place between 1 – 4pm and will feature a range of fun activities to suit all ages. Included amongst the activities will be pumpkin carving, apple bobbing and a chance to get some terror filled creative time to design a shockingly horrible mask. For those with an interest in the eerie there will be the chance to listen to some truly scary tales and to witness the end result of a fancy dress. Entertainment on the day will include a terrifying bouncy castle, a frightful putting green, a ghastly disco and a blood curdling BBQ. For further information call 07432625923. 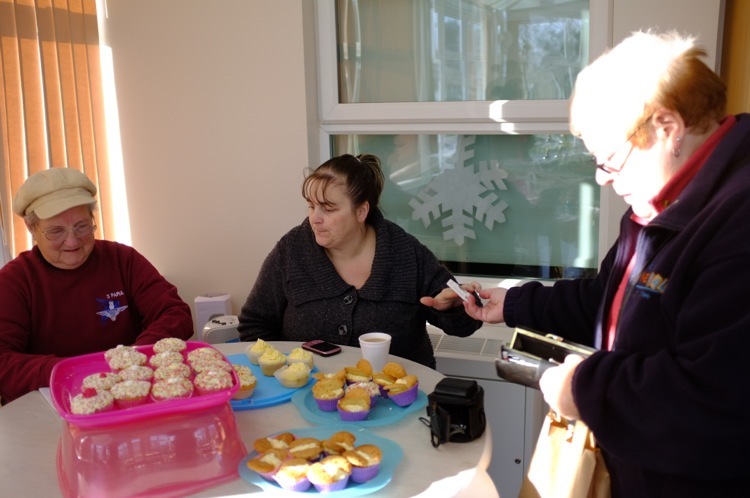 Goscote Greenacres is an initiative which is a partnership between Walsall Council’s Adult Social Care, Walsall Adult and Community College, North Walsall Area Partnership and others. Location: Goscote Greenacres, Goscote Lane , Walsall, WS3 1SJ. The next fishing competition at Goscote Greenacres is on 27th September 2015. Further details below. A Bloxwich youth was attacked by three masked robbers as he walked along a canal towpath earlier this month. The 17-year-old was confronted and threatened by the men near to Hildicks Bridge off Goscote Lane between 8pm and 8.30pm on Monday 7 January. They demanded he hand over his mobile phone, which he did, and they then ran off towards the road. “Fortunately the victim was not injured but was left very shaken up following the robbery. “We want to hear from anyone who may have witnessed the incident or who saw three masked men in the area on the evening. Anyone with information about the robbery should call police on 101 or the independent charity Crimestoppers anonymously on 0800 555 111. 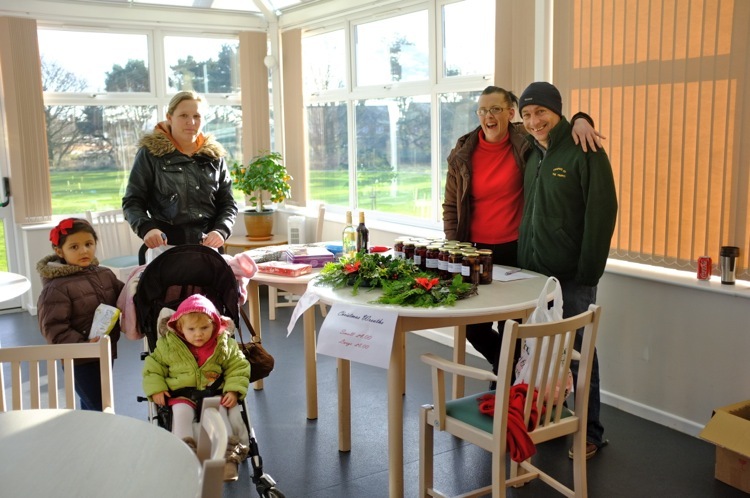 The popular Goscote Greenacres community garden on Goscote Lane held a seasonal market last Friday and Saturday – marking its first year serving both the disabled and the wider community. 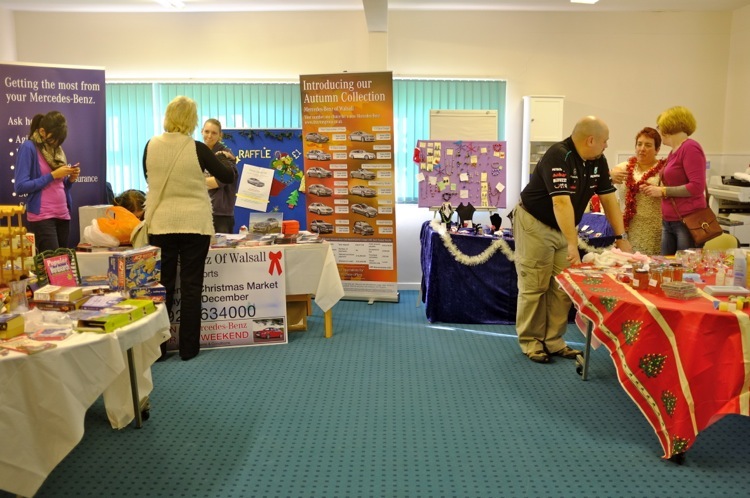 And with craft stalls, festive foods, bric-a-brac, raffles and a school choir on Friday and festive music, jewellery, craft stalls, homemade pickles and handmade Christmas wreaths and yule logs on Saturday, this cracking little event, graced by a visit from Santa Claus, showcased what is clearly an excellent project for the disabled and the wider community. 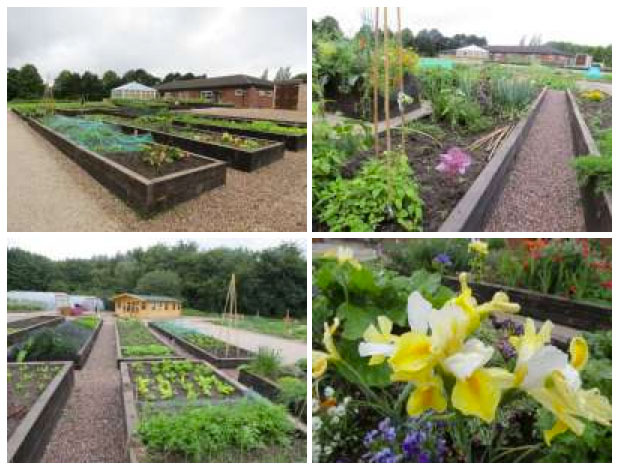 Goscote Greenacres Community Garden is based at the Goscote Centre for adults with disabilities and is being driven by them, their carers and the wider community. 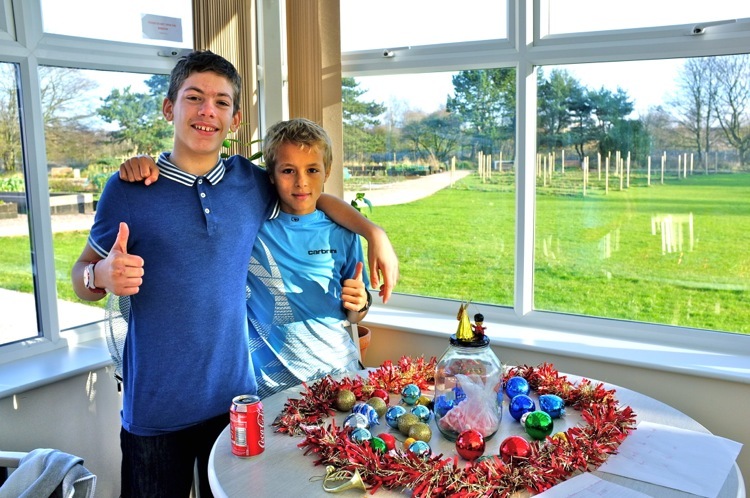 The Centre provides opportunities for people with disabilities who use the centre as well as residents, community groups and schools in the Goscote area, and also includes a great Community Café – Greenacres Restaurant – open to the public for breakfast and lunch, a training kitchen and social enterprise opportunities. 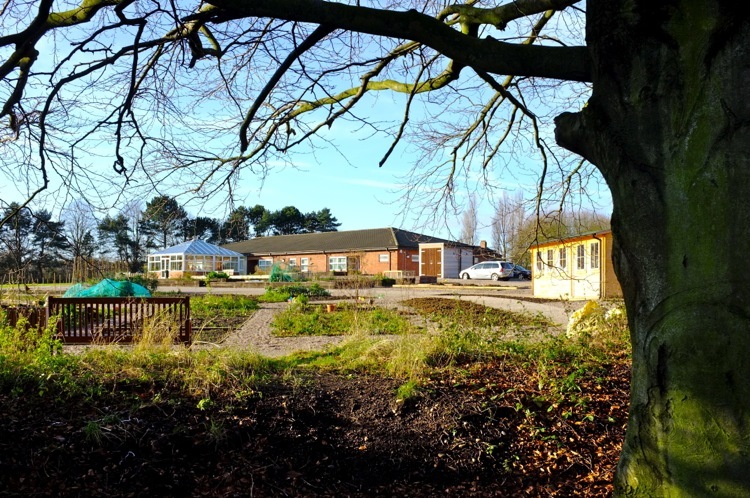 The main aims of the Goscote Greenacres project are to offer growing and gardening facilities and skills to the disabled and to offer the opportunity for members of the local community to mix with and become more aware of the needs of the users and others with similar issues. Stuart Williams from The Bloxwich Telegraph dropped in on Saturday and was introduced to both the gardening project and the Centre by Mr Mason, who explained that the gardening facility with raised beds for easier access was launched in 2012 following a £250,000 makeover of the former Goscote Lane grounds of the old Goscote Hospital which house the Goscote Centre and the canal side open space behind the current building. 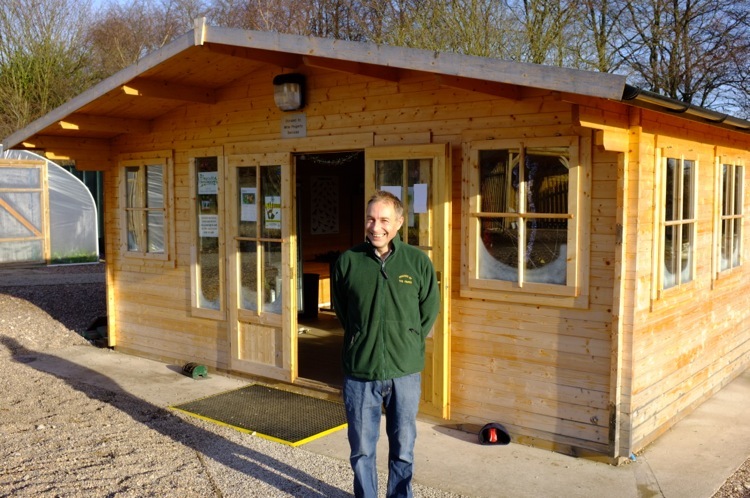 Paul gave Stuart a whistle-stop tour of the site, which apart from the Centre itself, includes a spacious community cabin, available for events and meetings, which also includes a home-grown veg shop as well computer facilities; a lovely canalside woodland walk with easy access for the disabled; the wide range of 45 garden plots (including 20 raised beds); fruit trees; polytunnels and a variety of other growing opportunities. Gardeners have access to dedicated toilets and a conservatory to which the gardeners have access even when the main building is closed. It is also planned to offer fishing facilities including a Fishing Club along the canal at the rear of the site. Goscote Greenacres is a partnership between Walsall Council’s Adult Social Care, Walsall Adult and Community College, North Walsall Area Partnership and others. Mr Mason’s work is funded by Walsall Council but the project itself has no other budget, so it has to be as self-sufficient as possible, and boxes of vegetables grown on-site are available for sale when in season. Donations and sponsorship are also welcome, and anyone interested in helping with funding or in kind – or seeking further information about Goscote Greenacres – is welcome to contact Paul Mason on 07432625923. You can also Like the project’s Facebook page: Goscote Greenacres and another at Goscote Greenacres Community Garden. More photos of Goscote Greenacres by Stuart Williams are available to view in our Flickr Album. Dreaming of a Goscote Greenacres Christmas! 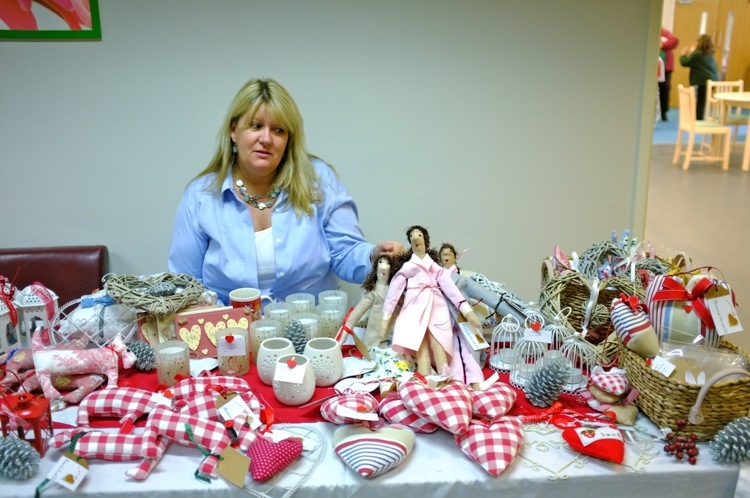 A winter wonderland awaits visitors to Goscote Greenacres this coming week with a seasonal market running over two days. 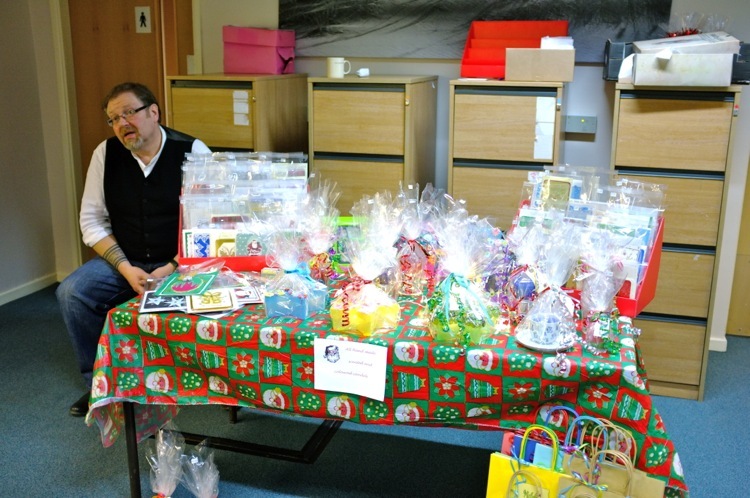 The first ever Goscote at Christmas Market will run on Friday 7 and Saturday 8 December 2012. 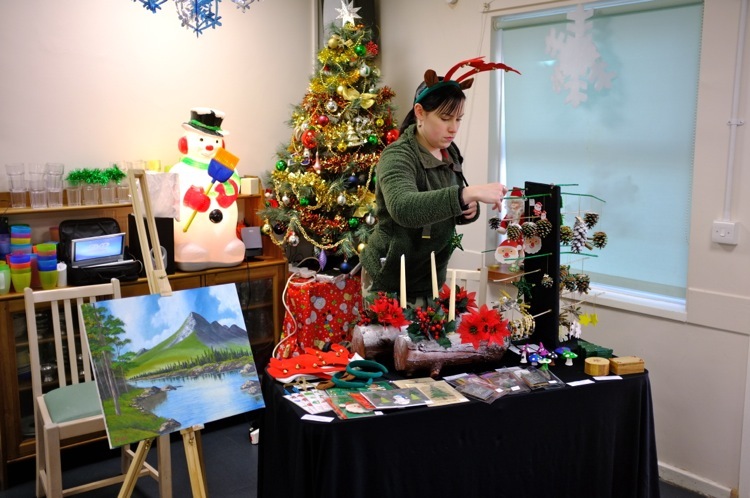 On Friday, there will be craft stalls, festive foods, bric-a-brac, raffles and a school choir from 10am until 2pm. 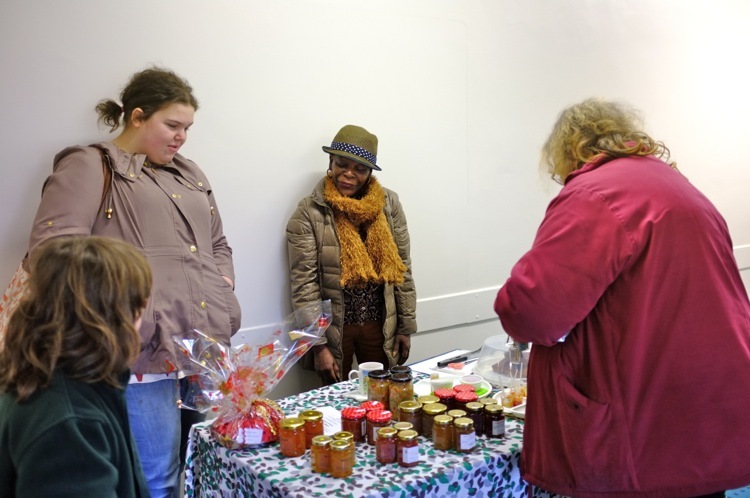 On Saturday, from 11am until 2pm there will be festive music, jewellery, craft stalls, homemade pickles and handmade Christmas wreaths and yule logs. And Santa Claus is due to pop in on Saturday 8 December between 11am and 2pm! 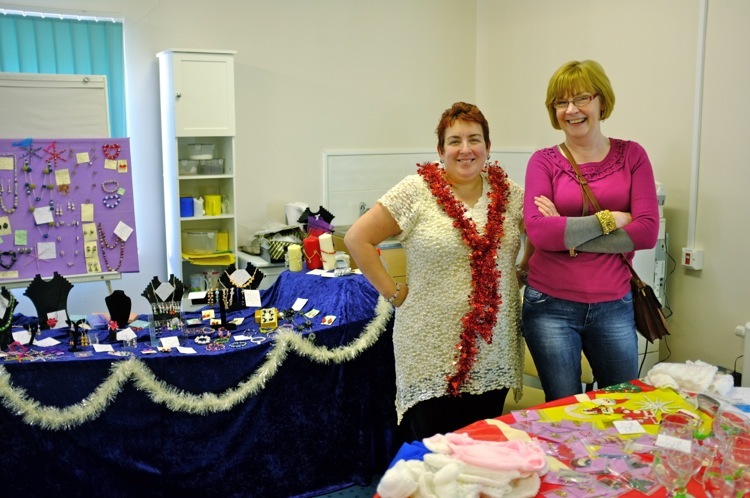 “This is our first Christmas market here at Goscote and we’re really looking forward to both days. Admission is free and the Goscote Greenacres cafe will be open for visitors to buy refreshments. “We look forward to welcoming people and spreading some festive cheer,” Paul concluded. 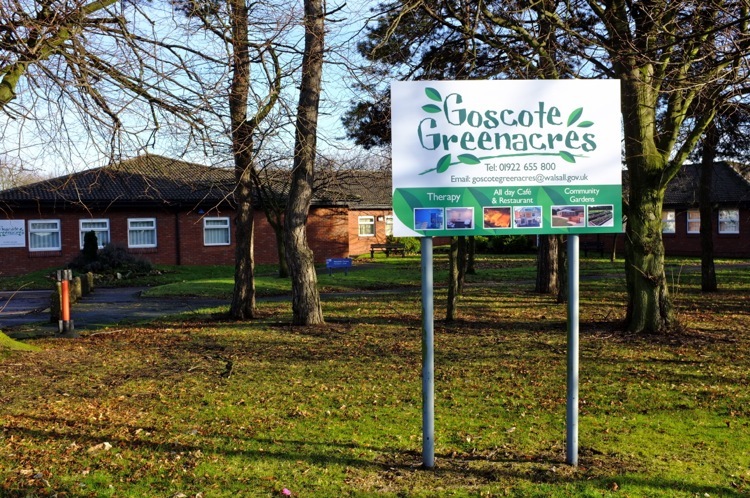 Goscote Greenacres is based at the Goscote Centre for adults with disabilities and is being driven by them, their carers and the wider community. It is a partnership between Walsall Council’s Adult Social Care, Walsall Adult and Community College, North Walsall Area Partnership and others. 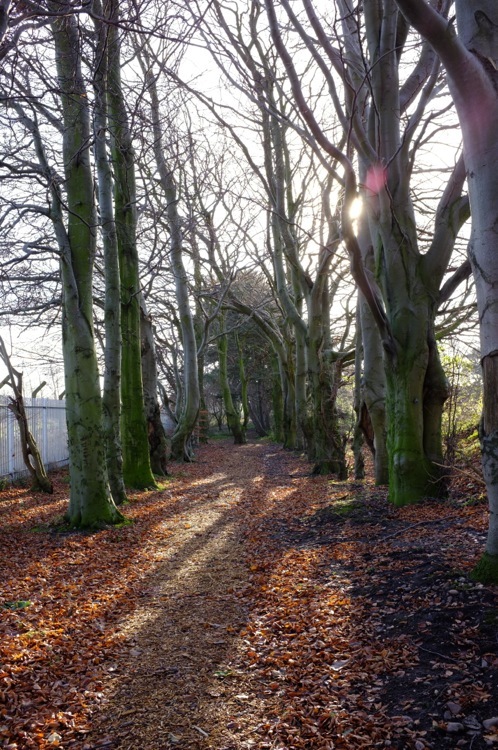 The wheelchair accessible site in Goscote Lane, has a community cabin, raised beds and community garden plots.